Two new intuitionistic fuzzy operators are introduced. 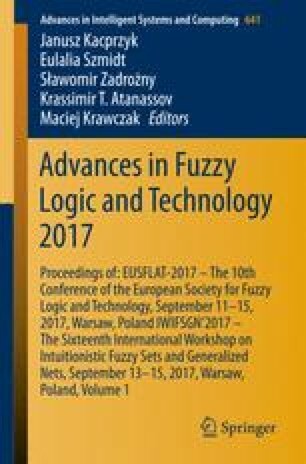 For them it is shown that they have a behaviour similar both to the modal, as well as to the level operators, defined over intuitionistic fuzzy sets and for this reason, they are called intuitionistic fuzzy modal-level operators. Their basic properties are discussed. The present research has been supported by the Bulgarian National Science Fund under Grant Ref. No. DFNI-I-02-5 “InterCriteria Analysis: A New Approach to Decision Making”.